When Hygge started hitting the headlines I was somewhat happy as it sounded far more chic than staying in and doing very little. If you haven't come across this Danish phenomenon yet then let me explain a little. Hygge (pronounced HUE-gah) is about enjoying life's little pleasures and tries to explain why the Danish are the happiest people in the world. It covers a work/life balance, good food, enjoying family and friends and being happy staying in with a cosy blanket, a good book and a batch of candles. Denmark burns around six kilos of candle wax each year which shows the importance they put on them. This is primarily due to the calming soft light that they give off. For me however it is as much about the scent that fills a room as the glow. A candle can give off a fresh zest or a relaxing calm. If I don't have at least one scented candle on the go I would worry. Hygge is a huge, fascinating subject that is well worth delving into a little more. 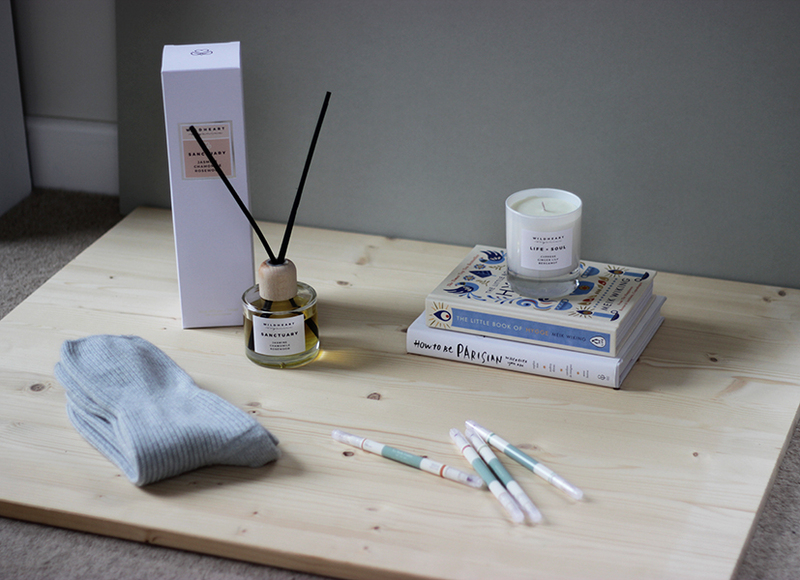 Here I will run though my top tips for creating a little of this relaxing calm at home and a few of my essentials. 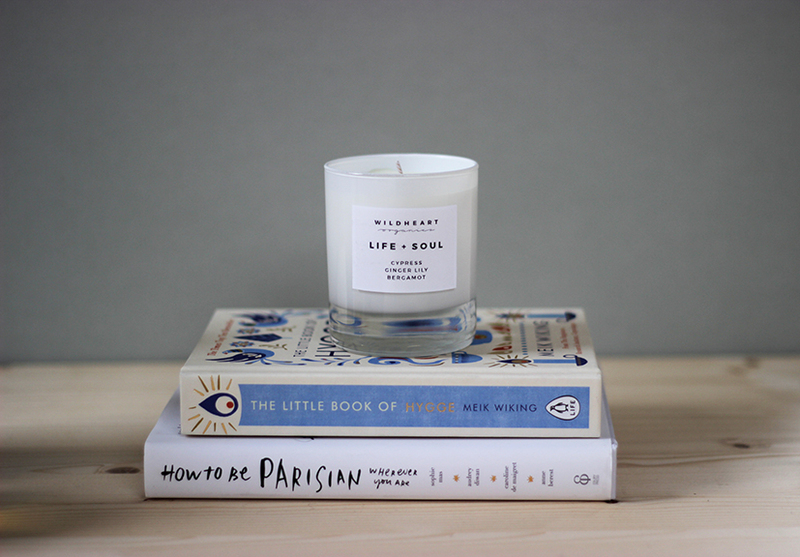 Candles are probably the most important aspect of Hygge and after I recently discovered British brand Wildheart Organics I would recommend them to everyone. The range includes the most incredible handmade products that use delicious aromatherapy oils to create unique scents. You just have to open the box to release the fragrance before you even light them. This beautiful brand don't test on animals, ensure everything is recyclable and use a vegetarian wax. Take a look at their stunning website. I am also a little addicted to the brands diffusers that don't just fill my living room but my entire downstairs with a soft aroma. Perfect when getting in after a long day. 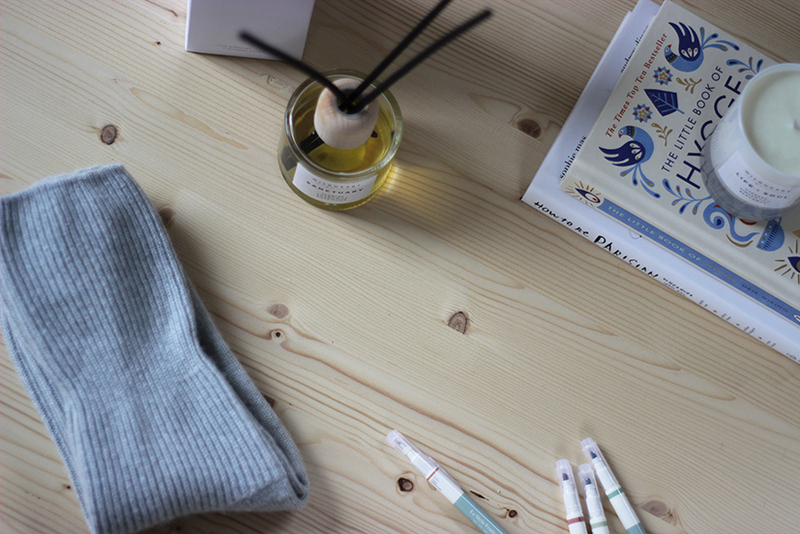 Cashmere is the most comforting fabric of all and my go to is the cashmere bed socks from The White Company. It's like wearing kittens on your feet! They come in the prettiest colours and last brilliantly. I am never without a pair. I am forever drawing but whether you spend your time sketching like me, knitting or making pom poms, have a craft that you can enjoy in those hours at home. Don't feel that you are wasting time, instead enjoy the calming effect of doing something very simple. It will restore your sanity after a busy week. It's so easy to spend your time reading work related documents and never switching off. Keep a stash of books at home to inspire you. For starters why not try this beautiful, fascinating little read by Meik Wiking called 'The little book of Hygge'. It's filled with recipes, ideas, stunning photographs and information about getting a little Hygge into your life. So simple yet so effective. A cup of tea really does make everything ok. Keep a selection of herbal teas and teabags at home including camomile for calm and peppermint for a refresh. Let me know what your favourite teas are and where you stock up. I want to wear kittens on my feet! Lovely cosy post, Rach.